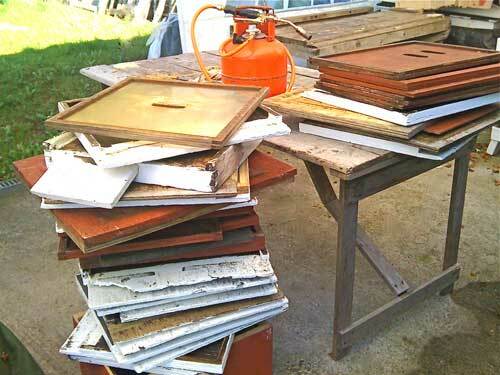 > How much time does it take to look after a beehive? It’s a funny thing, the most commonly asked question about beekeeping is ‘how much time does it take to look after a beehive‘. I realised that only 32% of my time is actually spent handling the bees, 68% of my time is spent in necessary affiliated tasks to maintain the health and prosperity of the colony. 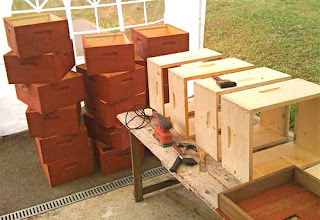 So with that in mind, I strongly suggest to all beekeepers to take advantage of this warm dry weather and get all your 2015 beekeeping activities in order now. Make up your brood & super frames now, otherwise you could be caught short when in the spring your bees expand quickly. Renew all old/damaged hive parts, clean equipment well and store away in a dry place, wrapped well to keep mice and moths out! 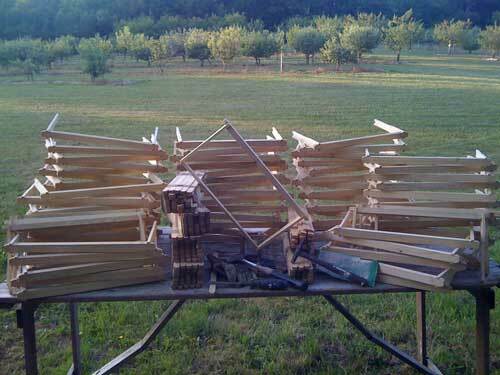 Its easy to think that now we have extracted all our honey the beekeeping year has come to a close-WRONG. We still need to get all our beekeeping equipment and sites in order now for 2016. I have a tick list of all equipment I have and what I need to buy, assemble etc. It will make your beekeeping spring of 2016 a really pleasant experience this way.